It’s that time of year. The time where we bring jackets out of storage and start to hang holiday decorations. It’s also a good time to start thinking about preparing your home for the winter season. As much as you might not be ready for the cold, both the exterior of your home could use a checkup to ensure they’re prepared to take on the weather. Our fall home maintenance checklist covers everything you need to do to prepare homes for winter. 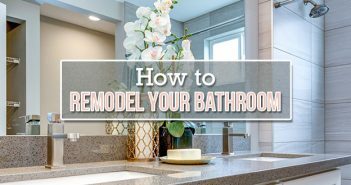 Take a look at our tips and get to work! It’s critical to remove leaves and other objects from your gutters and downspouts before winter hits. This helps prevent water from collecting in your gutters and ensures proper drainage. If you’re seeking a more permanent solution to prevent leaves from piling up in the gutter, consider a product like Gutter Helmet®. It easily installs over your current gutters and will prevent you from spending all that time up on a ladder. Even the smallest crack or imperfection in your roof can become a huge problem if left untreated. The continuous freezing and unfreezing of the winter months can cause leaks and eventually drain your wallet. It’s critical to know the condition of your roof and have it professionally inspected at least once a year. October and November call for raking or blowing leaves. Doing so, as well as completing other general yard maintenance duties, will preserve your yard through the winter and have it primed for spring. Take a look at this fall landscape checklist by Green Guys to find out all the jobs you should complete in your yard before winter hits. Similar to your roof, any cracks in a foundation will eventually turn into a major problem and expense. Taking care of issues in their early stages will save you time and money. Make sure your basement is waterproofed and slope your landscape away from your foundation to prevent any issues. 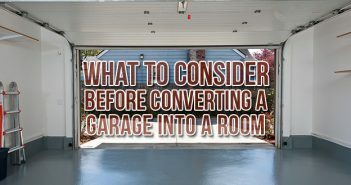 It’s best to start the winter off with a clean and organized garage. Shelving or storing summer equipment, like a lawn mower, can free up extra space for items you’ll use frequently in the winter. Cleaning the floor will also get you prepared to take on the sloppiness of winter. While you’re cleaning out your garage, take a few extra minutes to check out your winter equipment and make sure it’s running properly. Snow blowers sit idle for over half the year and it’s best to take care of any issues before the first snow comes. BD Hint: Consider renting a roll off dumpster for major cleanout projects. While many of the essential tasks are listed above, there’s likely other areas around your home that can be tuned. Reference the clipboard below if you’re ready to add more items to your checklist. 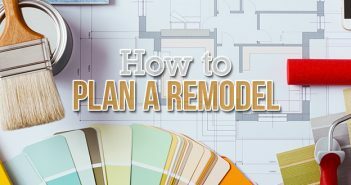 Check out and follow our home improvement board on Pinterest for more ideas for how to renovate and upgrade your home. We’d love to hear your success stories.